Flex-Lok skirt clamps are a new addition to the Flexco range: customised for various conveyor systems, they are even suitable for large and heavy-duty conveyance tasks. 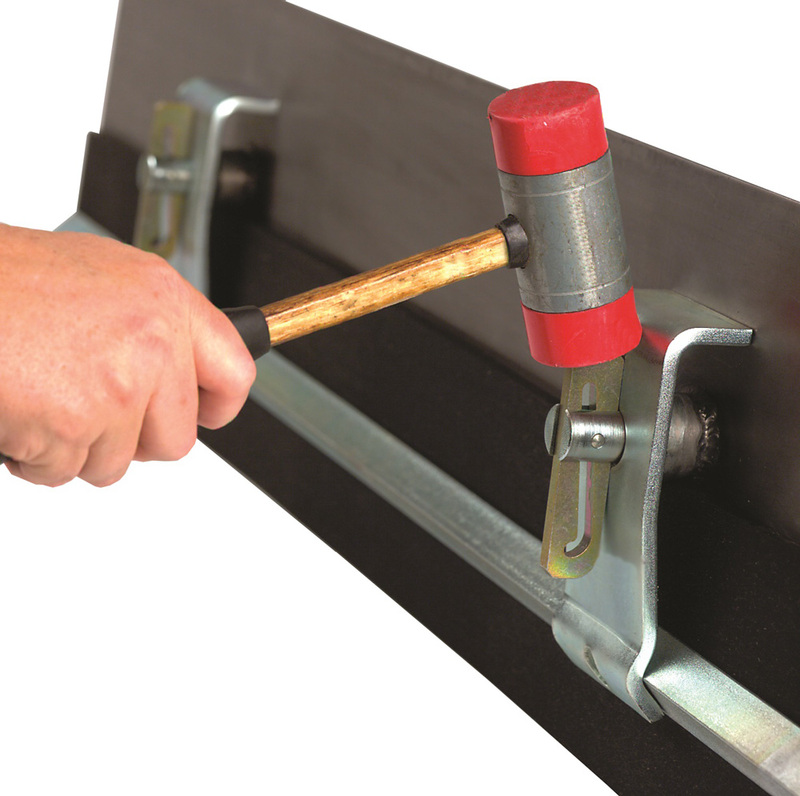 On the other hand, Flex-Lok Mini Clamps are ideal when space is limited – the rubber sealing strip is only 8 to 16 millimetres thick, while the thickness of the standard version is between 8 and 25 millimetres. 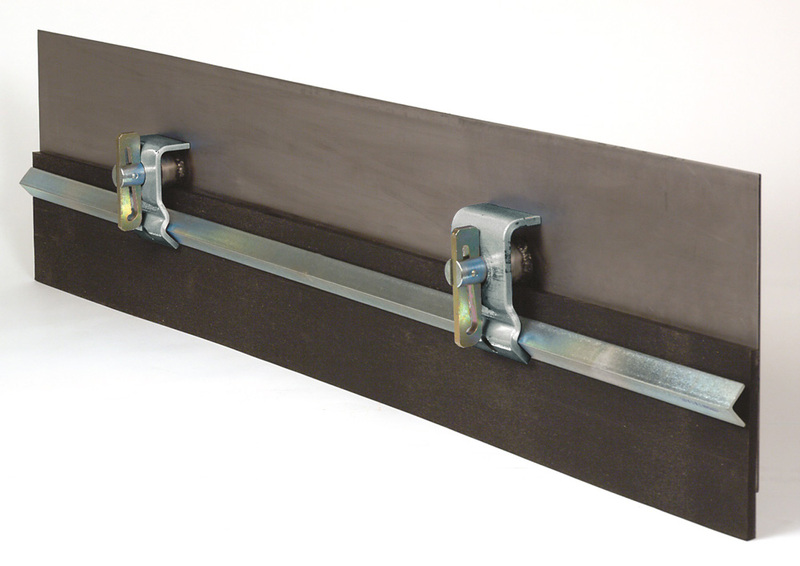 Flex-Lok skirt clamps can be easily installed by one person, because the clamp plates position the retaining rod of the rubber sealing strip. 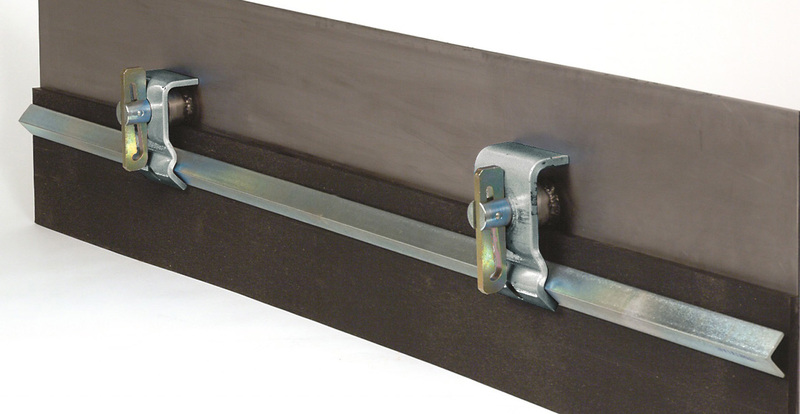 The skirt clamps can be mounted diagonally or vertically on the conveyor structure. Photo 1: Flexco supplies Flex-Lok skirt clamps for a wide range of load levels. They can be easily installed by one person. The Flex-Seal skirting system is a dynamic containment unit which completely seals the loading zone parallel to the belt. The system reduces dust levels by closing gaps through which material can spill. Problems such as belt damage and belt wander no longer occur. The thickness of the Flex-Seal rubber skirt varies between 8 and 19 millimetres with this solution. Flexco also offers a cost-effective solution that is especially suitable for confined spaces – the RMC1 skirting system. All three of these Flexco solutions are designed for easy installation – the clamp bolts are designed to allow the clamp wedge to rotate through 360°, locking it in place, and an additional anti-vibration clamp pin ensures that the clamp bolt remains in place even under extreme conditions. Service technicians can safely perform installation and maintenance work on the skirting system from the sides of the conveyor system. The individual system components are corrosion-resistant and highly resilient to ensure a long service life. Photo 2: The RMC1 skirting system by Flexco is a cost-effective and space-saving solution. In the case of all three systems, the skirt rubber exerts no tension at all on the belt, causing no premature wear or scratches on the belt cover. The Flexco range includes the rubber LRS15-R and LRS15 PU skirts, which are simply to install and quick to service. They offer highly effective solutions in combination with the fasteners. No bolt, nuts or additional special tools are required for assembly.